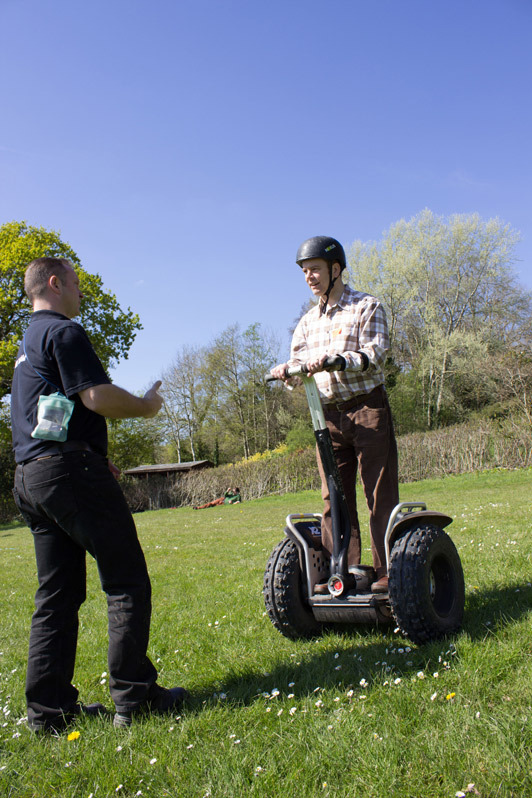 These Personal Transporters are two wheeled machines that move when the right amount of pressure/ weight is placed on the sensors. They are highly versatile and mobile, an amazing piece of modern technology and are able to turn on the spot. They are totally unique and and are a real favourite with team building challenges and games. The instructors were very professional, articulate and presented information in a humorous way without losing the importance of the message (for example when discussing the health and safety issues at the beginning). The interaction throughout the afternoon was very well received and added to the enjoyment of the activities. We all felt very well looked after from the instructions/demonstrations to the provision of refreshments and sun shelters.